Six months have already passed and it’s that time of the year again. The release of the number plates see 62 make its way on to the number plates of new cars in the United Kingdom. But before you’re taken in by the excitement of a new car, prepare yourself before you walk into that car dealership. The prospect of a shiny new car is exciting. But don’t make a hasty decision. With advances in the latest road safety technology and the latest technical features in new cars, try to get the most out of your money. 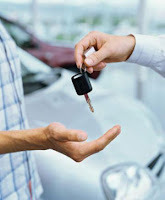 Firstly, decide on the type of car you need. Do you need to ferry the children around and make the school run? Or do you want a car with enough luggage space for the numerous long trips away you have planned. It may be your car is simply a means to get from A to B. Just make sure your choice fits the purpose. While we’re often led by the way the car looks, it’s important to be clear on your budget from the start. Make sure you know how much you are able to spend. The price displayed often isn’t the total price of the car. There are other costs to factor in such as insurance cost and other running costs too. Don’t forget to check for hidden extras. There’s nothing worse than to finalise the details of the car and then learn that there are additional charges for number plates and delivery. It’s often the question on everyone’s mind. Petrol or diesel? Check out the running costs before you buy. Diesel cars offer better fuel economy but are more expensive. It’s important to factor in car depreciation. Think about how much the car will decrease in value in its first three years and how this will affect the price of the car if sold second-hand. VED is related to carbon emissions, so the lower the emissions, the better. friends or using your savings, it’s important to plan a budget. Don’t be swayed by the prospect of a new car, stick to your budget. Most importantly, test drive it. There’s no other way of knowing if you’ll like it without driving it. Remember, if you’re going to spending a long time in it commuting, you need to make sure it’s what you want.